23400 Baird Road. 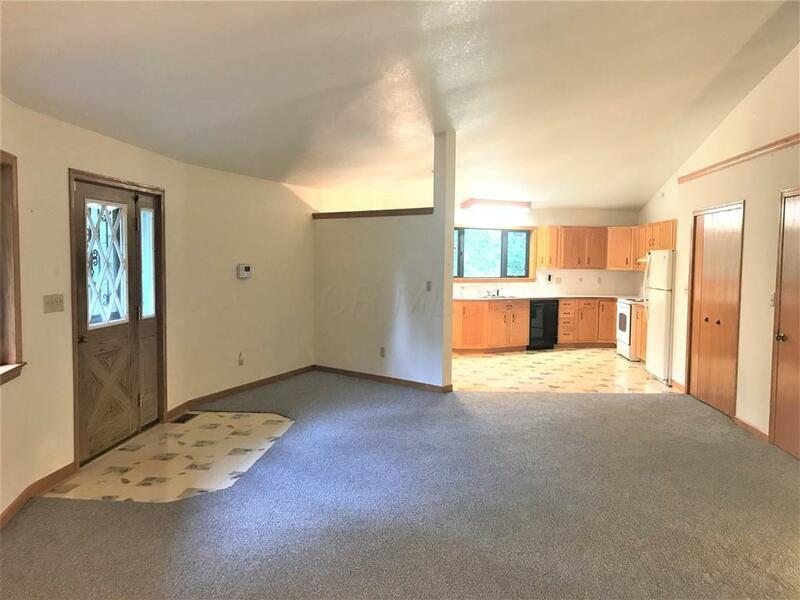 Unique getaway home with 6.78 Acres of Woods, Stream, several vintage (in need of love) farm buildings including a huge bank barn with quality beams. This ''round'' home is much larger than it looks. 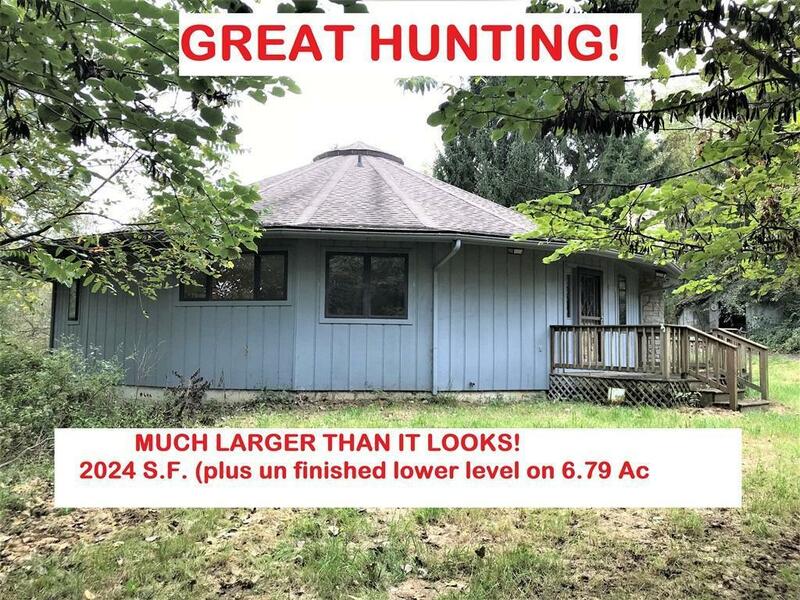 2024 Fin SF on first level, 3 Bedrooms, 2 full baths, 1st floor laundry, wood stove, geothermal heating and cooling sitting back off the road on a paved drive. 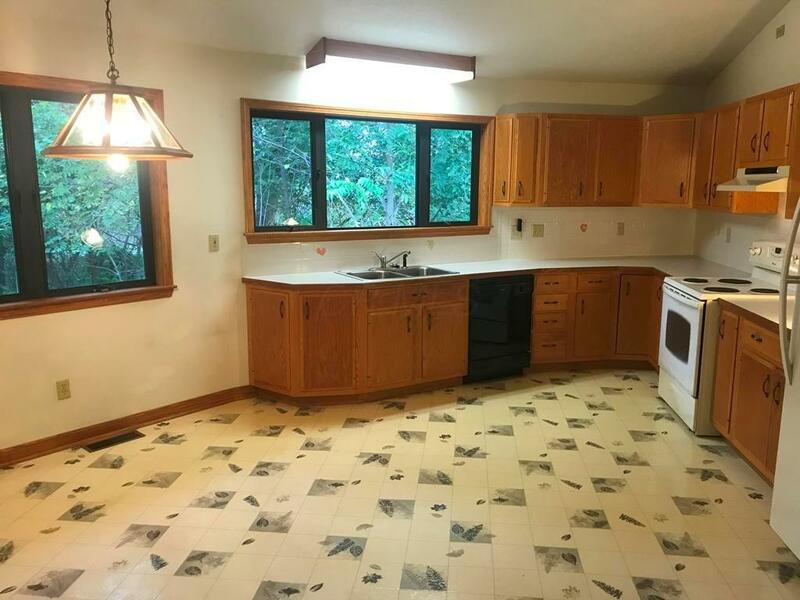 Built in 1993, this home is sure to please. Soaring ceilings and great room. 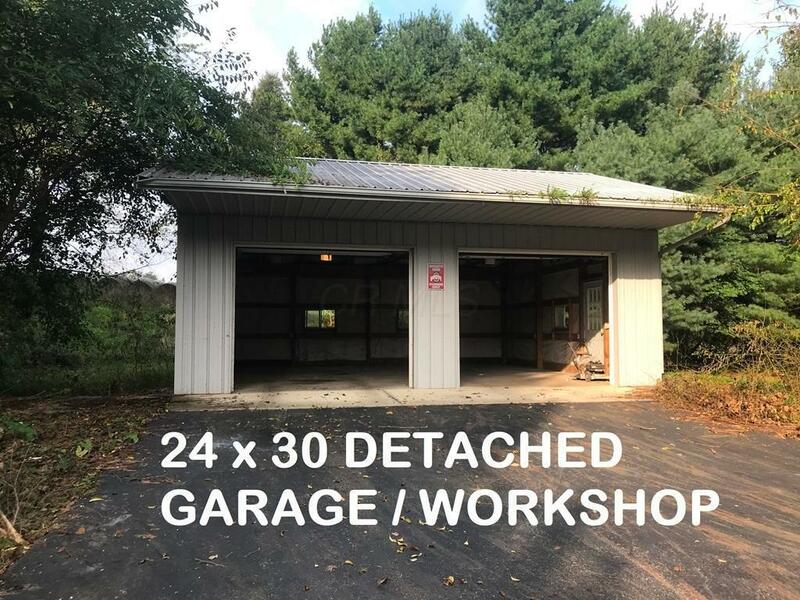 24x30 detached garage workshop is a delight. Great Hunting and located less than 3 minutes from US 62, just east of Martinsburg, off SR 541.